Before the baby was born, prayers were whispered into the night that this new life would enter the world gently, safely, and surrounded by love. This was so. Thank you God. In the early years of baby food, diapers and tantrums, prayers were whispered into the night that the little one would grow to love learning and exploring the natural world. In the school age years of homework, braces, and sports, prayers were whispered into the night that the child would know it’s not what other kids think that matters, but to be your beautiful self…be who God made you to be. This was so. Thank you God!. Now prayers are whispered into the night for the terror to end because every day this growing-up child is terrorized by an unseen enemy of the mind: mental illness. Help families create a homeland security mental health plan that will eliminate the daily attacks of some of the symptoms of mental terrorism: depression, anxiety, confusion, fatigue, mania, hearing voices, outbursts, physical pain, social isolation, uncontrollable emotions, phobia, shame, paranoia, thoughts of suicide, self-injury, disassociation, low self-esteem, delusions, and silence. Help families to find high quality, affordable mental health care. Help all growing-up children with mental illness to trust that life is worth living, that not every day of life will be this horrible forever. No parents dream that some day they would carry this peculiar burden of parenting a child with a mental health disease. Give parents strength to love with supernatural power because kids with mental illness need so desperately to feel love, to feel something besides pain. Parents need something, too, God. Parents need to know that they are not alone in this…they need the reassurance that You are right here in the heart of this struggle with mental illness. Parents need to know that their kid’s mental illness is not anybody’s fault and that it’s not a punishment for something someone did wrong. Parents need help coping with an avalanche of emotions: powerlessness, grief, pride, uncertainty, disappointment, hope, fear, joy, and heartache. God, give strength and hope to all who struggle with mental health diseases and fill their families with supernatural love. Make it so. Thank you God. Beautifully expressed. 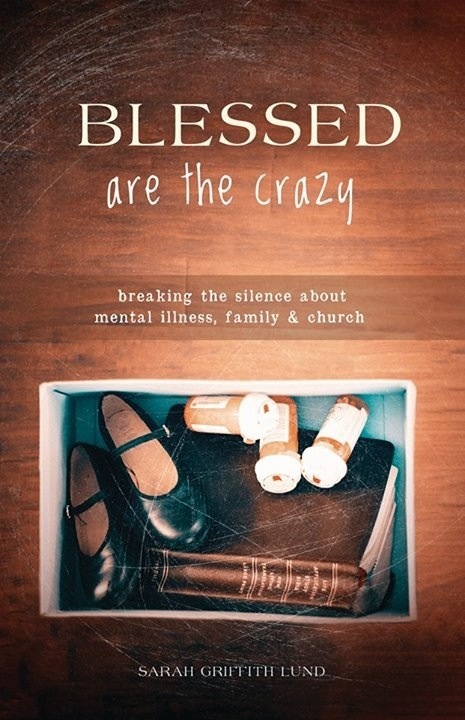 I join my prayers with yours and can say, after battling a mental illness for almost three decades, there is delight to be found in the disorder. Keep the faith and keep pressing on!